The road to success in real estate isn’t paved in gold and silver, but rather hinges on one simple aspect: the numbers. The numbers–otherwise known as the costs–are the underlier to your success and will almost always dictate your financial outcome in any business dealing. In real estate, it’s critical you’ve not only analyzed the numbers to determine if the deal is worth pursuing, but if you can cover the long-term aspects if your deal doesn’t go accordingly. 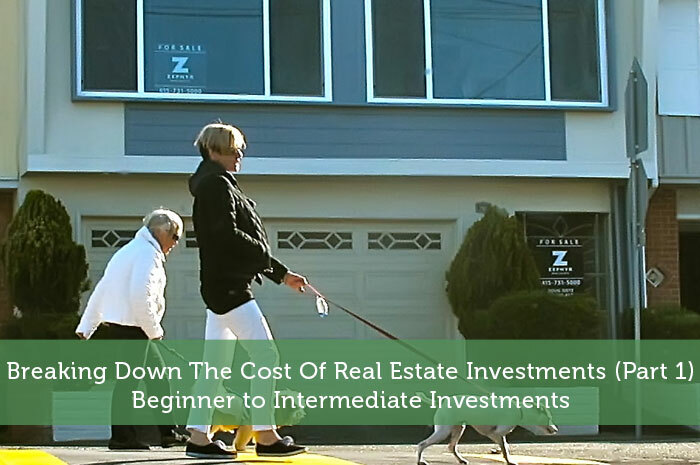 Before signing your name on the dotted line, let’s break down some of the real estate investment costs you’ll need to consider, including the hidden costs you may not have envisioned. Experts agree financing an investment is a much smarter strategy than using your own personal savings. Your money can be better leveraged in other investment avenues. When it comes to investing in real estate, there are two financing options you will become familiar with: hard money and private money. The preferred method for investors tends to be hard money, as the speed and efficiency of it just makes any fees and increased interest rates worth it, while the traditional avenue of securing private money has become much more difficult in recent years, especially for investors. Private money: Lenders typically prefer a total debt-to-income ratio of 45 percent for an investment property, and most loan programs only accept 75 percent of all rental income received, which greatly reduces a portion of your total income. In order for the rent to be considered income, you must: have a two-year history of managing investment properties and purchase rent loss insurance coverage for at least six months of gross monthly rent. Additionally, any negative rental income from any rental property must be considered as debt in the debt-to-income ration. Hard money: As the apple of every investor’s eye, hard money provides short-term, high-rate loans. These loans, which are not subject to traditional credit guidelines like private money, will typically cover the cost of your investment purchase (down payment) as well as upgrade/rehab expenses. Although it’s very rare for a hard money lender to fund an entire deal, they will most likely fund a percentage of the purchase price or the after repair value (ARV) — 70 percent. Once the investment is sold, the lender will receive their principal plus interest payment in return, and the borrower will collect what’s left. Wholesaling is an introductory house flipping exit strategy that involves buying low and selling low. In essence, investors act as the “middleman” in a wholesale deal, locating discounted properties, marketing the home to a prospective end buyer, and then transferring the contract to the buyer. It’s a unique strategy that comes with slightly lower returns, but requires much less capital, making it ideal for beginner investors. After you’ve evaluated all the information pertaining to the property, and you’ve decided to move forward, it’s now time to break down the actual costs of a wholesale deal. The Costs: Although the cost associated with wholesaling are unique to each property, the allure of wholesaling is easy to see: no money or credit to start, and the wholesaler generally passes all closing costs related to the deal to the end buyer. However, there are exceptions. A earnest money deposit, which essential tells the seller you are serious about the property, may be required depending on the property and the seller. Although no earnest money deposit is required with a private seller, it is almost always required with HUD and MLS properties. It can range from one to 10 percent on regular real estate properties, and up to five percent for foreclosure auction properties. During negotiations, the deposit remains in an escrow account until the sale closes, and is then added toward the down payment and closing costs of the property. However, it could be lost if deal falls through or certain parameters are not set. A wholesale deal will also include marketing costs. This is the amount of money spent trying to find a buyer for your wholesale deal, and should be factored in when the beginning stages of your investment search. This cost could take the form of running a direct mail campaign ($1,000), or paying a realtor commission for a realtor that brings you a buyer (approximately six percent of the sale price). Return On Investment: For wholesalers, the spread between the buying and selling prices is all profit. In addition, roughly 75 percent of wholesalers get their check within 30 to 60 days, which is always a perk. What’s more, wholesaling affords investors the opportunity to turn far higher volumes of homes than other investment outlets. General Condition: General costs could range upwards of $5,000. Landscaping: General costs could range upwards of $500. Exterior Paint: General costs could range upwards of $1,500. Miscellaneous Exterior Repairs: General costs could range upwards of $6,500. The Costs: There are various costs to consider when evaluating a prehab investment. The majority of these costs will be equivalent to the exterior condition of the property, which includes landscaping, minor repairs and upgrades, and paint. Unlike in a wholesale deal, you will need to account for all buying, selling and closing costs, as well as costs for the prehab. Make sure these exterior repair estimates should be factored into your exit strategy before committing to the deal. Return On Investment: Because a prehab consist of mainly cosmetic work and sweat equity, it is generally much cheaper to perform than a rehab–and more often than not, these cosmetic improvements are accompanied by a generous return on investment. Ultimately, the financial outcome of your real estate investment hinges on market value, including factors such as the price you paid for the property, the price you sold it for, as well as the value of any improvements you’ve made.